Our most classic mixture of grasses, which is successfully suitable for general use - use in a varied conditions. We created it permanently optimizing the composition and proportions of different species of grasses, basing on our long-term experience and recommendations from our customers. Thus a mixture from which the grass grows prooves in almost all conditions. Lawns that are planted with the mix are characterized by their beautiful appearance, durability and easy, no-hassle care. Adjusting the grass species used in the mixture to the specifics of its usage, we created a seed with a high tolerance to adverse soil conditions and high resistance to drought. Way of use of its grass mixture requires high resistance to trampling and other mechanical loads. Created with the blend turf characterizes by a compact & strong structure. It can be successfully used on both - the football fields and on other heavily loaded areas, such as playgrounds and urban gardens as well. 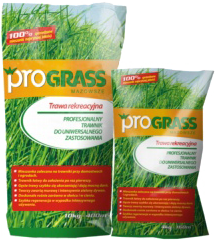 Renovation grass mixture supports - in a quick and effective way - to rescue, rebuild and strengthen the lawn destroyed by too intense use of or as a result of adverse weather conditions. 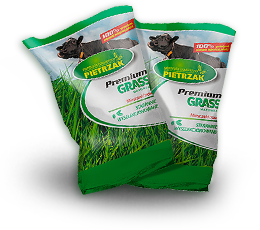 Applied by our company varieties of seeds foster growth of grass. In this way losses quickly disappear and new expanses of greenery in a natural way merge with the rest of the turf, creating a unified and strong green structure together with a strong root system. It is a blend of easily adapting to all types of soil and all climatic conditions. This blend of grass seeds is suitable wherever the Sun's supply is limited, in places less sunlight, occluded trees, partially shaded. It consists of grass species with a strong growth potential even in difficult circumstances and when there's dry, difficult to cultivate soil. Grown in this way lawn looks very impressive, it is easy to care for and withstands difficult weather conditions. This carefully selected mixture of grasses is a way to beautiful, lush and elegant-looking lawn. Lawn perfectly suitable wherever it will be well exposed, where it should attract the eye with its beauty. It is an excellent choice for home lawns and plots. We have put much effort to ensure that the grass well even with difficult weather conditions and do not require intensive care. A mix of strong, high-quality seeds.